Regardless if these thoughts are from a small child or a fifty year old, everyone wants something this moment, this in advance to accomplishing or getting it. 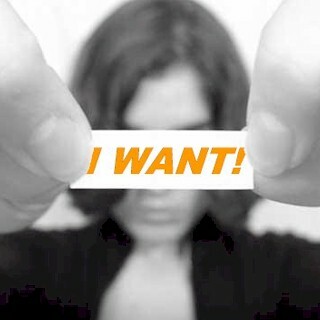 Although the “want” is radically different from a child to an adult, the process is the same, this when turning the want into a get. Getting what you want carries the same weight, the same energy and consumption of your attention. From small children who can’t fall asleep on Christmas Eve, wishing for that bike, to older individuals fretting over getting a mortgage, our wants become an universal analogy. So is there a step-by-step fast track way of getting our wants. To evolve, is it even worth pondering, this since it appears to be a routine part of the human condition. Someone who’s looking to buy a used economy car, envies that person who’s just bought the latest brand new sports car, with all the options. Someone searching for a small one bedroom apartment, is jealous of someone who just bought a condo. That condo owner however, wishes that they could buy a home in the suburbs. What the suburban homeowner dreams of, is that magnificent beachfront property. What we constantly tend is to compare ourselves to others, those who has more than us. We rarely look at those who have less. Someone who has an university degree, will never compare themselves to a high school dropout. Instead, they set their eyes on someone who has a PhD. Seek the opportunity to talk to someone who’s accomplished greatness. It’s a difficult process however, since they don’t want to talk to you, as it’s not beneficial for them. They can’t learn anything from you, as they’re looking forward. It could be a professional athlete or sports hero, a famous musician, a successful entrepreneur, or a well-respected academic, who are all extremely busy. If you are able to talk to someone, learn their life journey, what they’re planing to do next. What you’d most likely hear is that they’re looking forward to their next goal. Regardless of how great their accomplishments are, they’re never satisfied with what they have. Everyone has a fear of failing. Often, our wants are rooted in rejection, a fear of what would happen if we failed. Although the outcome may be different from those who are constantly “Looking Forward,” the motivation is similar. To them, it goes beyond the insatiable desire to succeed, but more about the fear of not being more successful. A high performing individual in business or sports, they’re burdened by the persistent fear, that if they don’t continue to climb the success ladder, to achieve more, someone, their peer, who’s just as ambitious or hardworking as they are, will overtake them. Someone who’s not burdened by “Always Looking Forward” or has a fear of failure, they may be content with their level of achievement. What’s known is stability can be just as hazardous as constantly wanting more. Someone who has a million dollars in the bank, has their own issues. They wonder if that’s enough money. What if the economy tanks, and their portfolio plummets. Once someone gets what they’ve always wanted, they immediately fear losing it. The burden that is stability, can be a stressful one. You may have found the ideal romantic partner of your dreams. Your friends, coworkers, and family members all envy the person that you call your partner. You found your perfect match, your soul mate, but what you constantly fear is losing him or her. For instance, the partner may suddenly be diagnosed with an incurable illness, or they may decide that they don’t love you anymore, and choose to seek companionship elsewhere. Once you have exactly what you want, the possibility of losing it is often more frightening. This is the perpetual cycle of wanting, and what it can lead to is stress and suffering. Whatever your particular want is at the moment, without exception, what it activates and represents is a fear. Wanting is also a pendulum that constantly swings back and forth, this between fear and desire. So if all this wanting leads to is suffering, then do we need to stop “wanting” to become happy. Is not wanting even possible. What turning off the want switch requires, is a shift in perception. What it doesn’t need is you getting rid of your possessions, or abandoning everyone that you love. Instead of extreme change, to stop wanting is a subtle process. Instead of saying, “I want (fill in the blank) right now,” say, “I prefer (fill in the blank) right now.” Making the transition from wanting to preferring, is the key to not being held captive by the endless cycle which is fear and desire. Wants are black and white, an ultimatum. But if you prefer something, such as a certain type of career, or a particular type of person in your life, the likelihood of reaching your goal increases, this because you’re more content with what you get, that there are options. If what you prefer doesn’t happen to fruition, become a reality, all is still well. What you’ll do instead, is learn to adjust to the circumstances as they arise, this without disappointment.